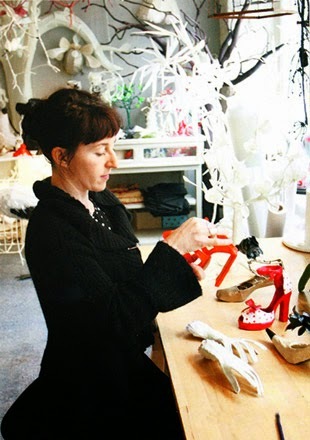 and started her career as a shoe designer before turning to sculpture and design. Van Cleef et Arpels and Givenchy to name but a few. 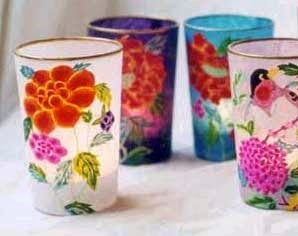 delicately cut tissue paper and hand-painted in her studio. No two candle holders are alike. a bright and imposing addition to any décor.